One of the great difficulties about attempting to discuss immigration is that it invariably becomes emotive. One thing that's never objectively done is a constructive look about what the country wants from migration. We should be having this discussion now, but we are not and we never do. Let's start with some very basic questions. How many people do we want in New Zealand? Do we want significantly more than 4.7 million? What about Auckland? Do we want it to have a significantly more than 1.5 million? Okay, after we've answered those questions, how many migrants do we then need or want to come into the country in order to fit in with those basic population targets? And then what sort of migrants do we want - and by which I specifically mean ages, skill-sets, aspirations and perhaps wealth? If we don't set out these basic ground rules - and we never seem to have ever done this - then ad hoc Government policy tweaks become the norm to suit the mood of the day. I think this Government has used migration in a most cynical and actually lazy way to boost the economy (though crucially GDP per capita growth has lagged) in the short term. But in doing so it's running big longer term risks. The net numbers of inbound migrants, currently running at around 69,000 a year are eye-catching. But this detracts from the most salient point. It's not the numbers that are necessarily wrong or bad. It is how we are doing migration, courtesy of this Government. That's what's so wrong at the moment. 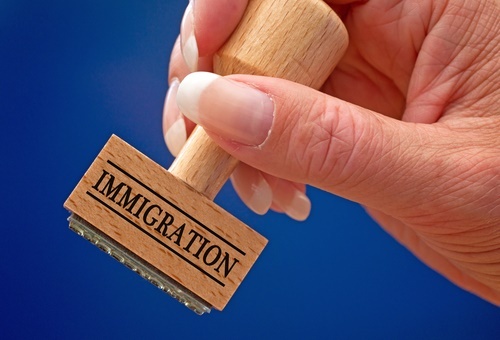 Migration can be a valuable tool in covering essential skill shortages. But as the figures contained in this article show, that's not what this country's policy setting are doing for us at the moment. Surely if we were truly fitting migration policy to current job requirements our biggest inflow would be coming into the construction sector. But it ain't. Not even close. The chief economist at the country's biggest bank ANZ, Cameron Bagrie, recently did an excellent summation of the current migration policies. Bagrie raised his eyebrows at the massive surge in overseas students heading to private training institutions and polytechs. I'm happier to go a bit further than a raised eyebrow. What's clearly happening here is that people from overseas are using the education excuse to get into New Zealand and are taking up, in many cases, not particularly highly-skilled or onerous courses, which are then leading them into not particularly highly-skilled jobs - in New Zealand. This works for the Government, short term, in the sense that education export figures are rocketing, as latest Stats NZ figures show (note the figures in the accompanying Excel tables 3 and 4). It also means by attracting people in from offshore to fill jobs that wage pressures can be kept down. It's a lazy, short-termist, strategy that is fraught with longer term risks. The people coming into the country and taking these not-so-skilled jobs are doing so at the expense of unemployed New Zealand citizens who might, with the right prompting, be able to be trained up for such jobs. Unemployment and its effects on people are not, in my experience, widely understood. Particularly for the young, a period of unemployment progressively saps the confidence over time in a way that the person themselves don't notice is happening. Then the self-defence mechanisms cut in. The inward thought: "I don't think I can do that job" is outwardly expressed as: "I don't want that job". Such defensive comments then tend to be taken at face value. This person doesn't want to work. Forget about them. Yes, some people need a bit of pushing an prodding. But this Government is again being very lazy by giving up on these people and bringing in overseas labour to take the jobs. There's potentially a huge future social price to pay by not pushing people into the workforce and getting the work ethic into them. And what happens when, inevitably the economy hits a rough patch down the track and jobless numbers start to rise? You then get those already excluded from the workforce partly by the Government's cynical use of immigration joined by more people. You can't ignore people born in New Zealand. As a country we've got them for life. We are inviting huge problems by excluding some from being usefully part of society. If the economy turns really bad all the migrants you've brought in previously to fill jobs might just simply leave - and then we as a country get stuck with the unemployable people who have been let down by the Government. The other key risk is what ultimately happens to the education export business through what might be seen as the 'commoditisation' of it that's now occurring. By this I mean New Zealand offering up qualifications of not necessarily the highest calibre simply so people can come here for not-so-skilled jobs. Quantity rather than quality. Commoditisation. The risk is we become known as a nation peddling low grade educational training. Wouldn't we rather be known for promoting really high-end degree courses? There is a danger that the proliferation of relatively unskilled educational courses could backfire and see the market for high-end, quality overseas students dry up. Ultimately, I think the debate about migration needs to be based around how we do it, and not be fixated about the numbers. The Government needs to be forced to re-examine its lazy, short-termist strategy. In tandem with a serious look at New Zealand's migration policy settings there needs to be a very big rethink about how our tertiary education sector is structured. Keep going the way we are and we risk serious social problems in future. How correct. No one is against immigration but the moment you talk about it - it seems to be racist. John Key is taking advantage of this very fear of people being termed as racist, as a result do not speak or discuss. Study in NZ is a scam in the sense that no international student from asia is coming to study but is omly a getaway for PR. Why NZ because is the only country in developed world where is easy and also cheap to get PR. Student pay fee of $15000 plus $10000 living cost and than to get job letter if not able to get job is about 10000 to 30000 so on average if have $30000 to $50000 to spend can get PR and if get a job part or full time the cost will be much less. Previously Canada was also easy but not any more. So the best choice for anyone is NZ. Government too knows as each student is spending about $30000 to $50000 and employer getting cheap labour, which otherwise not possible and rich parents of overseas students are able to buy tax free house/investement. Best Tax Free Investment. The above is known to one and all. Ask any immigration or education provuder ( even private education is surviving only on this scam of international student and the way they do advt is "Join and get opportunity to work part time and once completed full tjme and be eligable for PR). This is a shame and has to be in a controlled manner. I think David is wrong on his analysis of the low grade education peddlers, yes they are low grade but in my experience many of the students already have a higher level of qualification so it is simply a mechanism to get on the ground and an easy route to residency, now that would be an interesting analysis, you already have a PhD and you are enrolled for an entry level programming course? why? From experience I know many migrants want a New Zealand passport merely to be able to go to Australia as a right. They couldn't get in any other way. Agreed. Once the Australian economy gets its mojo back, the housing 'crisis', our immigration travails and persistently high NZD will all be fixed in one fell swoop. Thanks for spelling "fell swoop" correctly. "...no international student from asia is coming to study but is omly a getaway for PR." No. I currently have a post-graduate student (Indian) who already holds a PhD (plant pathology) and is looking to extend his skills into environmental management (which NZ is, somewhat bizarrely, considered quite innovative). I like 'omly' as a typo: Oooooomlie, very meditative. At least Chinese and Indian students pay the huge 30 or 40,000 $ fees and then work part time unlike working holiday makers from Europe , North America who simply work for a year and get paid . So who is helping the New Zealand Universities? Great. Maybe it's time for the harsh truth that the brightest, richest and most aspirational of all the migrants do not want to come to NZ? Hard Stuff or MBIE puff piece? Am not sure if any other political party (Except Winston Peter that too if does not go with John Key) will make a difference or no but one thing is for sure to save NZ - Solution starts with #JKEXIT. Because it is seen as morally wrong to draw a ring around the nations citizens, thereby creating a them and us situation. I heard them discussing it on RNZ and it is cruel the trap the government has created for these young Indians. Unfortunately our $60m PM is on another planet. evidence that large-scale immigration is good for New Zealand. Census data shows Auckland median income growth was the second lowest of any region over 2001-2006, and the lowest over 2006 to 2013. Auckland is the ‘poster child’ of superdiversity. If there was anything in the ‘diversity dividend’ argument Auckland should have been leaping ahead in the income stakes. immigration has been beneficial to native New Zealanders. Is immigration Think Big 2.0? Excellent article - you pretty much summed up England ... (I mean NZ) Soon enough we will have our own "benefit street" to provide entertainment for people to see how pathetic certain members of the human race can become. Short term policies with little strategic planning will become problematic for decades to come. National will certainly leave a legacy. Apparently (according to the statistical evidence) bringing in lots of young people, creates lots of jobs for young people. Young people can adopt easily to the new circumstances and get on with it. Our high immigration rate has been a boon to young NZers. However the Employment Rate categories do show a decline are those in the 50+ age bracket, so the natural constituency of Winston Peters might feel (even more) bitter and aggrieved. Then go and check the growth of part time jobs and those employed in multiple jobs to try and eke out a living. However they can tell different stories depending on which ones you favour. Since 2004 we have also had HLFS results that show "Persons underemployed and actively seeking more hours". In fact, this category is relatively small - and certainly smaller than I assumed when you raised the point. As per the HLFS for Q2 2016, there were 2,454,300 people employed of which 527,200 were employed part-time. But only 63,100 of these part-timers said they were "seeking more hours". Presumably, those who don't want more hours are happy with the part-time hours they have. They are 19% of the employed workforce and that level has been stable for a long time. In Q2 2006 it was 20%, so little change there. Part-time jobs as a proportion of all people employed has not grown in the past ten years, or since the start of 2004. It has been a consistent 22% over the whole period (P/T including both those who seek more work and those happy with the P/T hours they have). Actually, there is no "growth of part-time jobs" on a proportional-to-labour-force basis. In absolute numbers, part-time jobs have grown +17% since 2004, whereas full-time jobs have grown almost +25% in the same period. Part-time jobs have decreased as a proportion of full-time jobs. Do we want significantly more than 4.7 million? no. What about Auckland? Do we want it to have a significantly more than 1.5 million? no. Peak oil will dictate how many NZers you can feed and much more than 5million looks dubious to me, maybe even 4million. We can barely house the population we currently have so it does it make me wonder? Nigel Latta did surmise one very good point: with growing migration and greater tax return they do provide a solution to our aging population and who funds it. Actually he found the net benefit of migrants was much greater than a NZ born citizen which I found interesting even if lacking in detail. Nothing. Those figures are meaningless. I have always liked Latta but he lost the plot on this one. Nigel Latta's good at critical thinking fail. Remember when he went on Sensing Murder and some charlatan 'psychic' completely hoodwinked him with bog-level cold reading? He has always been a lightweight entertainer, nothing more. People seem to have forgotten his stance on the anti smacking bill gave it legitimacy that permitted it to pass, despite an overwhelming majority of the population that did not want it. you can always replace exports with local demand. Resources affect mostly at an aggregate level, not at specific countries. And NZ has plenty of resources for even 10 or 20 million population. Whether we want that or not it's another story. It'd require to have proper cities with efficient buildings of course. But you cannot think that population will increase and cities will still be tens of square kms of residential houses with gardens. Eventually urban planning has to change and become efficient or you end up with Auckland-like cities abominations. Yeah sure! NZ could support 10 or 20 million people as Bali supports a population of over 3 million on a small island. But why would we want to compromise our lifestyles like that? And degrade the environment. If you think NZ needs more people then move to a country that has more people. If you replace exports with local demand you no longer have foreign currency to purchase cars and computers and medicines, welcome to the third World. Next time folks when you holiday in Bali or Fiji break out of the tourist hotel scene and check out how the landless locals live. that... or support policies to get more people. Why do you think we need more people Muntijaqi? Why did you immigrate here? Was our low population not part of what you liked about NZ? What population should we have?What are your reasons? Does it make me racist if I believe NZ is the best place on earth and Kiwis are superior over others. No it means you are sane! Not racist , but ......a little myopic and an 'exceptionalist' maybe like many Americans are brainwashed into thinking. The actual value we give 'citizenship' is the key. Do we value and want our right as 'born' citizens of this country to decide our own levels of immigration? I think we do. Good Article David, However single sided and imbalanced ..
You did a good job in pointing out the risks and consequences while pampering the local unemployed as so many people do ( this issue will never be cleared until we show some tough love !! instead of finding excuses for them) . But it surprises me that you have left out all the benefits positive immigration has and can bring to the country AT ANY PARTICULAR TIME . I think , Almost 40% are Expats and Aussies ( stand to be corrected on that) .... I guess you cannot turn these people away ? ?, another big junk is from the US, UK Canada and Europe, hard to say No to these people especially they almost all come to fill important and high paid jobs which are difficult to source locally and bring in cash and pay high tax etc.... so you are left with the labour class , the Students class and the Investor (business) Class .... BTW fruit pickers and pacific Islands labour is an ongoing and seasonal issue and that will last forever..it is also a quota in some way !! So, I guess the discussion now becomes simpler and the 30,000 - 45000 gain a year becomes very realistic number ( depending on need and allowing for replacement) - ? Only few years ago, the Left ( and all of their supporters) were screaming and calling for the fall of the empire when 45,000 NZers were leaving the country annually. So did the business community all but for opposite reasons .... and unemployment was over 6% .... All guns today are fired on this same Gov calling it to do something as were called all name under the sun !! Just listen to the same Moaners and Whingers today !! doing the same because we have access migration.. Unfortunately, these people do not understand that they are being used as a political card for gaining power and that the issue will be certainly discarded once that purpose is served ! So here is a sad picture that a youth representative with a straight face gives on TV ... Go figure! Eco I do like your comment 'Good article..however single sided and imbalanced"...however one eyed and patronising it is. You don't need to yell, we can all read. Some of these moaning, whinging Lefties are quite well edumicated in the Q's E. Great commentary from you by the way, however generalised and ill informed. I think you missed the point somewhere. Yes, the immigration discussion has been going on for ages. My take on this excellent article is that it's asking for answers to some fundamental policy questions such as how do we establish the Goldilocks temperature for immigration, what is it and how do we achieve that? By the way I really find your posts on this site laugh out loud entertaining. Off to get some Zeds. I've listened several times to Stephen Joyce on his 'education industry'. He has not a clue and comes over as a true believer, but not strong on what is actually happening. He belongs to the school of thought that what is bigger must be better. The man is an economic millstone. -Has an effect in the long term in social cohesion and the hegemony of the ideology in civil society. -Low skilled migrants tend to push salaries down at the lower end. -Adds pressure on accommodation and infrastructures. Either you keep pace with construction and rethink the urban planning (build apartments!) or it's absurd to bring more people in at this level. At the same time I really think this influx will be negative as soon as the property bubble bursts. In fact I'd be the first one leaving NZ if my salary expectations are lower or job conditions worsen. Immigrants come to NZ if they can live better than in their home countries. If house prices and rents keep increasing at a faster pace than salaries it won't be long until many decide to go somewhere else, at least the more skilled ones. The difficult step is to leave your home country, but once you are an immigrant in another country it does not require much to change again. In summary, these immigration levels are unsustainable, but the problem will fix itself. Spoken like a true immigrant. When migrants start leaving in droves, do you think that means a better life for Kiwis? Some seem to think so and yearn for "those days". Many migrants will look back at where they left and shake their heads at these imbeciles. Peter highlights that we have a relatively high rate of natural increase in population. But we also have a large and persistent outflow of NZers (large by any comparative international standards). That outflow should best be seen as a rational response to perceived opportunities - those abroad are better than those here. Outflows of New Zealanders should generally act as a stabilizing force, helping to rebalance the economy. Economies with slow growing populations need to devote a whole lot smaller proportion of their real resources to simply maintaining the capital stock per worker. My point was that when migrants start to leave NZ in droves (as some commentators here seem to wish for), do you think that signals great prospects for NZ? excellent article David. Glad someone in the media has the guts to call out Nationals scams...very poor policy, lazy as you say. Can't believe they're doing this with all the homeless we now have and the terrible housing bubble. I don't blame the migrants but I do blame National. Actually, are there hard tangible numbers regarding the real "homeless" situation? Just wondering. Do you have a link? Would like to read it thanks. Thanks I saw this. I would like a precise definition of "homeless". ""If the homeless population were a hundred people, 70 are staying with extended family or friends in severely crowded houses, 20 are in a motel, boarding house or camping ground, and 10 are living on the street, in cars, or in other improvised dwellings," she said." Not sure if people other than those living on the street/cars are considered as "homeless". The "70" for example are par the course for many countries frankly. A lot certainly can be done to improve their circumstances but to classify them as homeless seems to be stretching this. It suggests that the government/society owe all of these people an obligation to provide them with a home (as opposed to owing them an obligation to provide them with necessary skills to build or own a home). Not sure such self-entitlement mentality is good for society, including taxpayers, as a whole. I would like a precise definition of "homeless". You're out of luck there as the government has no precise definition. I guess they think its all relative (no pun intended). Totally agree rp I don't blame the immigrants at all, or course they would want to live somewhere better, it's 100% the government that must be blamed for setting the limit around twice what we as a country have the resources to handle, year after year, all for some fake growth and GDP figures. Also it's not mainly Kiwis coming back from Aussie, that figure is only very slightly up on the long term average, that is just more smoke and mirrors. "Also it's not mainly Kiwis coming back from Aussie, that figure is only very slightly up on the long term average, that is just more smoke and mirrors." Since 1986, an average of 21,600 more Kiwis have left than arrived back, compared with an average of 32,100 more non-New Zealand citizens arriving than departing per year. These figures contribute to an average net gain of 10,500 migrants a year. A record net gain of 71,900 non-New Zealand citizen migrants in the May 2016 year, was partly offset by a smaller-than-usual net loss of 3,500 New Zealand citizens (Kiwis), and produced a record-breaking net gain of 68,400 people. While Kiwis are not contributing net gains to the current record gain in migration, they are a big determinant of total net migration as they dominate both migrant arrivals and departures. My math tells me that is 18100 Kiwis extra (21600 on average - 3500 this year) of net 'gain' in Kiwis compared to the long term average. I would not consider that as "slightly up" given that the average is 21600. But don't let statistics stop you in creating your smoke and mirrors. Without most kiwis realizing (oblivious as they swim in the wealth of their growing property values) the soul of this country is being destroyed. Buying property now is largely dependent on inherited wealth, our streets are becoming littered with beggars, crime is on the rise, the gulf between haves and have nots is growing. It's survival of the fittest, in the jungle, our enlightened values of yore, where are they now? Whose values are you talking about? Notice that in all of this not one mention of culture and people. I don't know about you, but all this discussion of immigration as if it were simply a matter of economic rationalism is deadening to the soul. I suppose it should be expected from this site, but the myopic view of so-called experts is telling. In time the term 'Kiwi" will become more and more meaningless as the cultural landscape of the country will be formed by immigration, which in turn is formed by denatured economic argument that treats all people as fungible units of potential economic activity. Inputs and outputs. If your stats are better than the natives then you're a better kiwi, at least according to business leaders who behave as if the demographic makeup of the nation exists to serve their bottom line. Immigration is just one of those critical issues that our nation SHOULD have only decided by 'citizen' binding referendums. It then removes any chance of it becoming a political minefield or political economic tactic without a mandate. Maybe we don't need CBR's on everything...but on these issues we MUST or the climate in this country is going to get real ugly real fast. We either elect people who ARE willing to make this happen, or we better be prepared to make sure anyone who is not willing is shut down and shut out however possible. Well, you have got the answer to your CBR today .... Nats are still ahead in the polls - and Labour is in panic mode ..calling the polls Bogus .... so i guess there are more supporters to this "dysfunctional Government" than others !! Nothing will get ugly - !! we remain a nation of civilized people who can resolve issues by debate not baseball bats !! JK's own words "only poll worth anything is the poll on election day"
Only thing JK has ever said that is right. The whole thing is just one big scam. "Forty-five per cent of Kiwis polled in the survey think the economy will get better over the next 12 months, up three per cent on June. " "The numbers that think it will get worse are down from 36 to 31 per cent." ... Cool !!! This just an indicator of how NZers could swing and vote under pressure on election day ... maybe the moral here is : Do not under estimate people's intelligence !! they can sort out any BS coming from any direction or any party !! Can't trust TVNZ anymore in regards to polls or just anything really, clearly they are in the pocket of the government now, just look how biased towards the nats that guy they have on at 7pm every night is, he's never been reigned in in the slightest. I suggest a real refer-end-em. I have a few questions for my fellow contributors. If racism is knowing what is wrong, then I am definitely racist and a bigot. I trust no politicians or bankers, of any race or creed. They have more money, than I could ever have imagined. Billions and Trillions. I am so indebted to them. Have been for some time. In fact, all my working life life. If being a poor immigrant is OK, then I am OK, because I am. I worked long hours all my life to become so, borrowing money at 17% from a New Zealand Dairy Farmer, as no Banks would lend to me, though I earned my keep. I soon payed them back, as I knew just where my bread was buttered, in those days. I kept my excess money in a Bank., yet another mistake I made. If I am indebted to others, why do I have to pay taxes on it, if I save in a bank.. If forcing down interest rates is working, then I am glad I gave up working, a long, long time ago. If theft as a servant is permissible, then I am so glad I do not employ anyone personally, and never will again. as I cannot avoid others hands in my pocket, even when I do not employ em. I call them Politicians and Bankers, but also other rude things. If taxes are what makes a country work, then why work, be happy and join all the other layabouts idling away their life, at your expense. If politics is a career, of choice then why do we need so many to make it work., more so than many bigger countries, that work a lot better. and no where indebted as us, per capita.. If banking is really working, then why do we need Land Banking at all. and so many competing banks. to become millions and billions in more debt. If a mortgage is needed to become a mortgagee, what does it need to become a mortgage salesman, selling free money, for a lifetime of servitude to others, so freely and so well paid.. If Inflation is ballooning and bubbling, what are we all gassing about. If houses are an investment, why can I live abroad , just about anywhere else, for so little, and always can and often do. Are we over rated. or is it to save us. If a fool and his money are soon parted, why do we need inflation at all. If Social Welfare is such a growth industry, we should all become socially dependent. at a much younger age and retire early to become healthy, wealthy and wise., so we can get our beauty sleep, pretty quickly, as it soon fades, an ugly truth. If a pension is a savings for the whole of ones working life, for most, why can money, not keep up with the Jones's, nor a Politicians salary and expenses. Ironically I fully understand, just where my bread is/was buttered. I have now gone Dairy Free, just in case.. I am also thinking of going into politics, with a possible Swiss or Cayman Banker as a backer. I cannot afford, not to. I shall hopefully be the next Sub-prime minister. I shall be always in your debt. I have always wondered why NZ is so attractive over India. The migrants / students coming here are obviously not bottom of the rung ( otherwise they wouldn't be educated and skilled). India is a democracy. It has a growing economy. Numbers don't lie - Officials don't lie - Pr. Paul Spoonley was very clear !! immigration gates are not wide open and well guarded ... !! and the contribution is now clear !! Were you watching the same doco as the rest of us? I don't know what you have been watching .. but the link is up there , so help yourself.. Oh BTW , I also enjoyed reading the crap that CROAKING CASSANDRA has but on his blog about this doco ....absolute rot and rubbish !! Yes know about the cronyism - have seen it, complained about it, got slammed for it - but it really isn't at the level of places like India where you are expected to pay cash to low-ranking officials to do the most basic of tasks (or to not dishonestly apply rules or regulations). Try Visiting and driving in India !! Most people in India are well aware that average pay in NZ is among the least in the OECD. NatBird (a member of Nationals PR spin machine) the CROAKING CASSANDRA article was excellent and made some great points ... which of the comments below were "absolute Rot" and why ? "I’m not sure the source of this estimate, but it is a huge effect. Stop and think about what it means for New Zealand, if it were true over the medium-term. We’ve had one of the fastest population growth rates in the OECD in recent decades, and yet one of the worst productivity growth performances. So perhaps the really rapid migration-fuelled population growth has been really really good for us, and everyone else has gone really really badly, to explain our overall disappointing performance. But where is evidence – the telling statistics that suggest that that is really what has gone on? Professor Spoonley knows about the disappointing New Zealand economic performance, so it is a shame that he didn’t try to relate his general claim to the specific experience of New Zealand." "Of course, every country draws on ideas and technologies developed in other countries. In some cases,. immigration may even have helped the recipient country a bit – but any such gains look to be quite small – but prosperity depends mostly on a country’s own people and own institutions. " "Countries don’t get successful by bringing in better people: rather, successful countries can afford to bring in more people, if they choose." "Perhaps Professor Spoonley and the other New Zealand pro-immigration advocates (many of them taxpayer funded) are right about the benefits to New Zealanders of this really large scale intervention. But even if so, surely we deserve much more evidence of those benefits than we get when leading academics simply assert over again that, whatever the short-term stresses, the Think Big programme is really working out just fine?" Everything in the above is assumptions and conspiracy type crap that would like the reader to doubt officials and Pr, Spoonley etc, and singing crap like "surely we deserve much more evidence of those benefits than we get when leading academics simply assert over again that, whatever the short-term stresses, the Think Big programme is really working out just fine?" Maybe one day you will start seeing things more open-mindedly !! No argument here on being open minded. It is your sole right to make your point but be prepared to be slated when your opinion is wildly awry from the majority. When you start an argument against the intellectual rigour evidenced by Michael Reddell you are on a beating to nothing. Who needs intellectual rigour when you've got TVNZ hiring a household personality who wouldn't get enough points himself to immigrate to NZ - according to the programme! He's got ratings - that's all that matters. That wasn't journalism - it was a reality TV show - and we're all Survivors on this island. Yeah thanks - No dreaming here mate, eyes and ears are fully open and do not accept BS from anyone ... be it a Bank CEO, an intellect or others ... But your are right buddy, everyone hold his Own opinion and has all the right to challenge what is put out in public because common sense prevails !! After living in Asia for quite some time, NZ Citizens/PR's need to WAKE UP when it comes to immigration, and the governments decision to be the only large country near Asia that has no restrictions for foreign ownership. NZ Citizens will be (and already are to a large degree) renters to the rest of Asia. Ownership is VERY MUCH protected from foreign nationals in 90% of Asia, and its an absolute joke that NZ is not. It's a lazy, short-termist, strategy that is fraught with longer term risks. This is the comment that resonated with me. Yes the article is an interesting discussion piece that makes many valid points, but this one comment sums it up. Government's horizons sit at three years, possibly six, irrespective of what they say. This is why they haven't fixed the housing issue before now, and why it has become too big. If they had acted 10 - 15 years ago it wouldn't be an issue now, but with near horizons, the longer term issues didn't rate. Immigration will have the same impact eventually unless the Government can be convinced to act. Governments are essentially self centered, egotistical machines, doing what they HAVE to to keep the proles happy, not what they ought to. Make them more accountable. And New Zealand's even more open to criminal rorts like this, and as a tiny market has much less capacity to absorb the damage from fraud and corruption. OFFCANZ? Anyone? You buy a property in NZ. Mr Persil would be turning in his grave. So how come no one has any comments on the working Holiday makers from Europe and North America who work full time without demonstrating any specific skills useful for this country, make no contributions to the Universities here? So Only Chinese and Indian students who pay an average of 30- 40,000$ to New Zealand Universities are to blame for the immigration problems here. Also , the writer of this article- Could you please employ one of the 5 % of the unemployed people here living off WINZ for one week in a business you have started with a bank loan and get back to me with the outcome !!! NZers reap the society it sows. In particular how it cares for the young, vulnerable, elderly and disadvantaged. At one end of the spectrum we can choose an egalitarian society and at the other a vulture society. The fact is the poor leadership shown by the govt towards housing in particular has significantly turned the dial towards the vulture society. We are all losers.